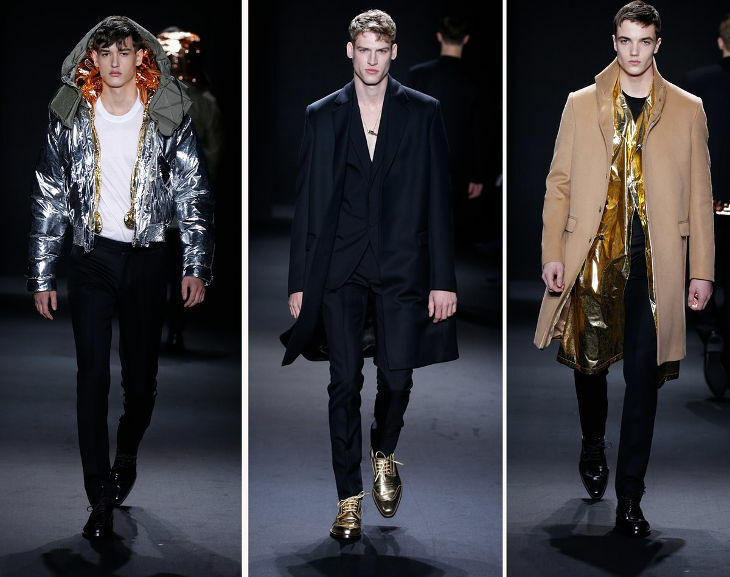 Milan Menswear Fashion Week took place earlier this year, where all the big names had their chance to showcase what they have to offer for the autumn/winter of 2016/17. The event witnessed over 30 collections that went on the ramp, along with numerous events and cocktail parties. 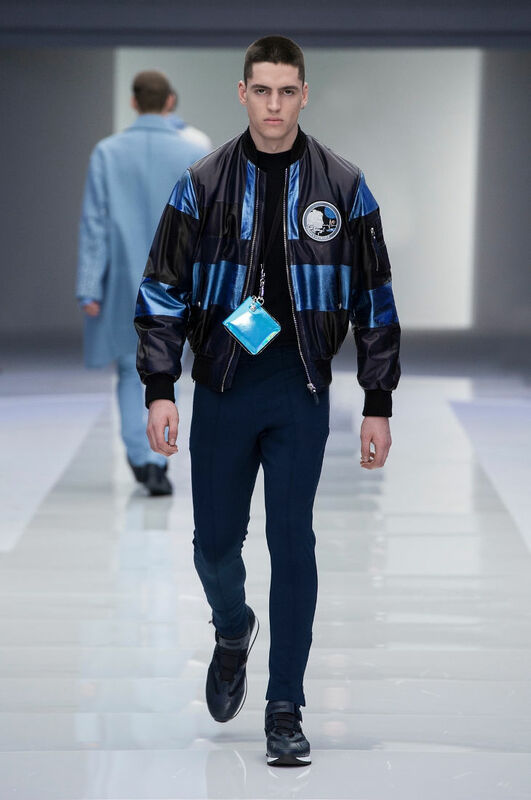 Though the designs were particular to the theme, there was a vast difference in the outfits showcased, ranging from an astro outerwear by CK to retro stripe by Iceberg. 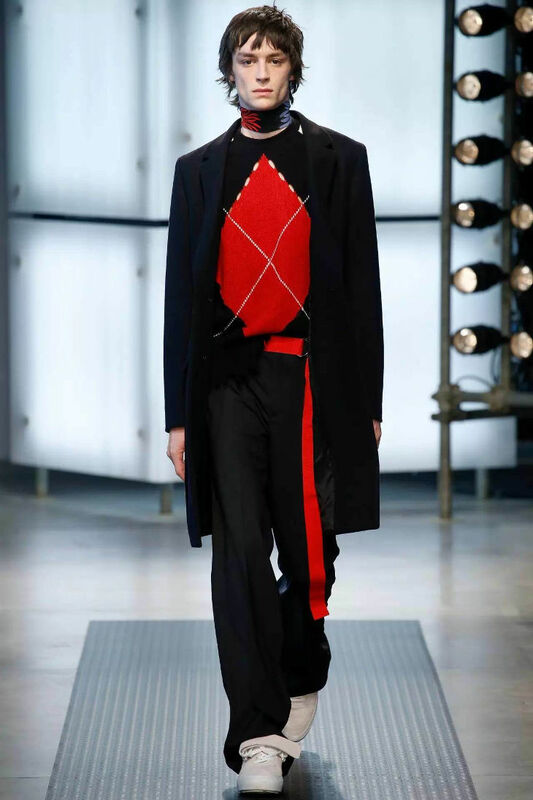 Prada is a returning veteran and the design style has once again caught a storm. 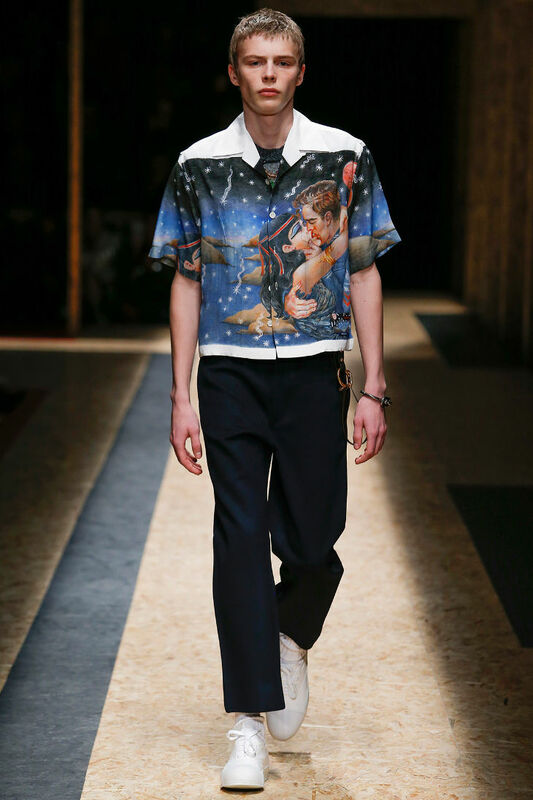 The collection included 50s bowling shirts, capes, cropped trousers. The shirt with Liz Taylor as Cleopatra and kissing Elvis was definitely an eye catcher. Elegance, fabrication and sleek. This was what this collection looked like. Sticking to a single tonal palette from head to toe in almost turtlenecks and oversized pants, this might as well become the hot trend of the coming season. 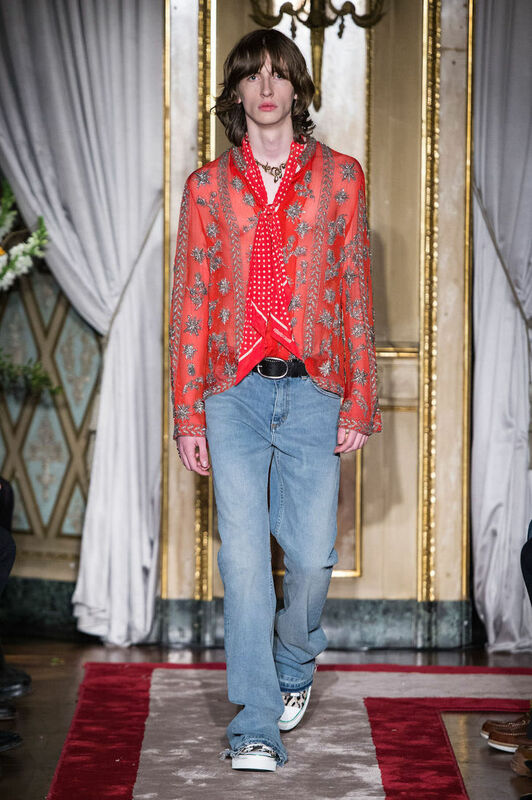 Barrett gave his collection a personal touch with a lot of personal childhood references giving it a 70s feel, yet making sure to aim the collection for the modern man. This included crisp pants, and a long jacket over zip up track tops. 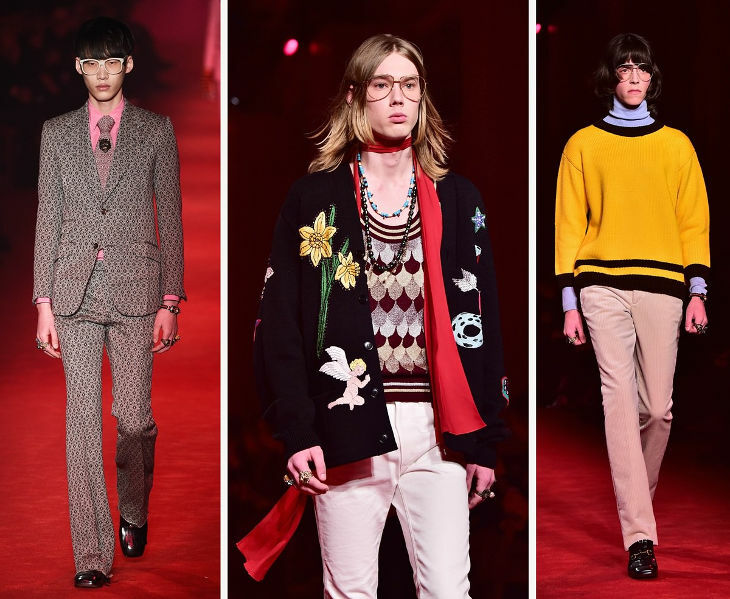 Gucci’s collection definitely took everyone back in time, with bell bottomed pants, highly printed tops and bright colors. The models were highly accessorized with huge rings. If that wasn’t enough to take you back to the 60s, the huge transparent glasses definitely will. Must have been a little bit of Bowie as well. 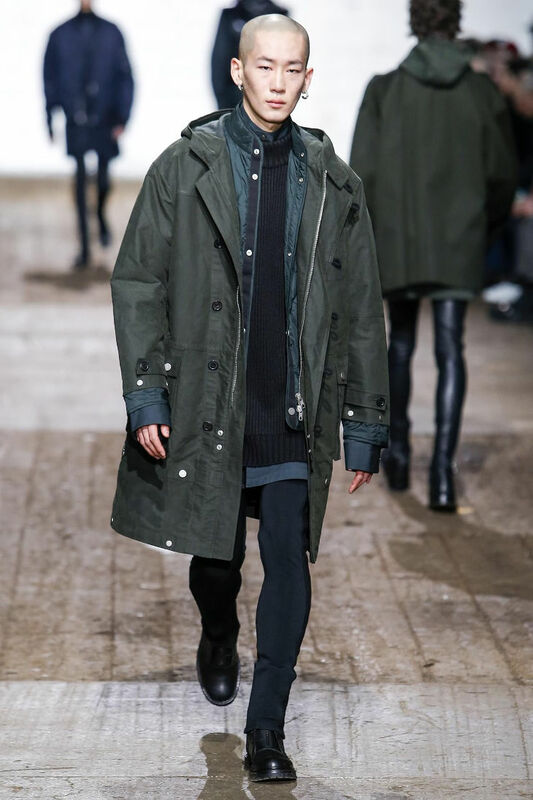 It was James Long’s debut at iceberg. The British designer very well used heritage of the brand along with his skills. After reworking on triangular logo, thanks to Jean-Charles de Castelbajac’s tenure at the house in the 70s, he used that in everything, ranging from jackets to belts. And believe it or not, it looked amazing. Using astronomy as the inspiration, the silver and white looks were quite remarkable. Along with that, the covetable MA1 jackets are surely going to be in this season and you will see a lot more around in the coming time. Designer Tomas Maier presented a chic double-breasted collection with flashy leather highlights. Tomas stuck to single tone for the dressing in case of a drape. 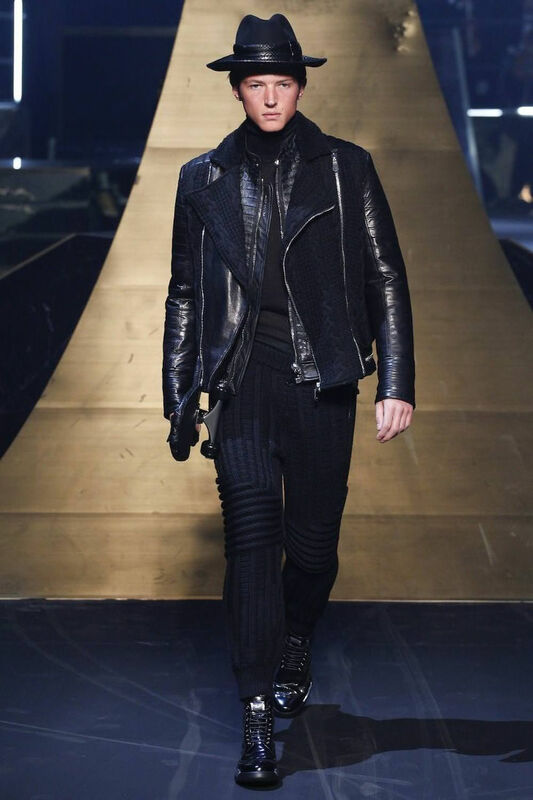 In case of the leather jacket, it was matched with a stylish handbag and the zip front trousers. The collection showcased the apt rocker of the house with snakeskin and leopard print. The collection was laid back with chiffon top, flared jeans and converse, and makes it a perfect catch for even the youth, or the 70s. Filled with shine quotient, the brand didn’t make much of an impact during the showcase, and models like Gemma Ward and Boscono went unnoticed. The MA1 trend was given more weight, and the foil highlights also didn’t make any buzz amongst the tabloid. 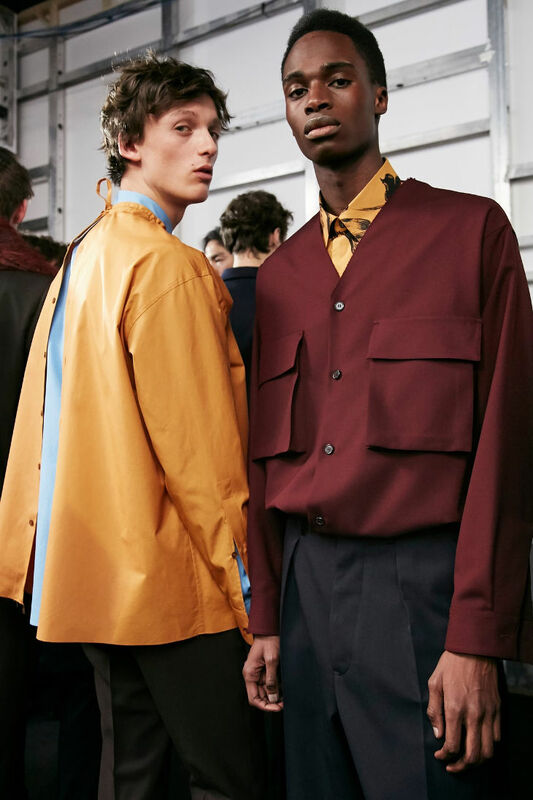 A double layered shirt smocks worn open at the back along with plenty of real life relaxed tailoring were highlights of this collection. A lot navy and pinstripe was seen with the signature print being limited to just a tulip design on shirting. 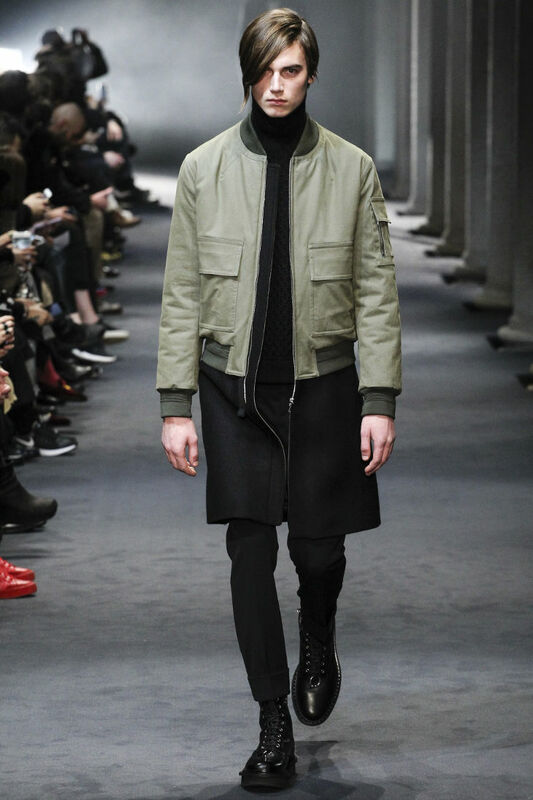 The FW collection was true to its monotone. 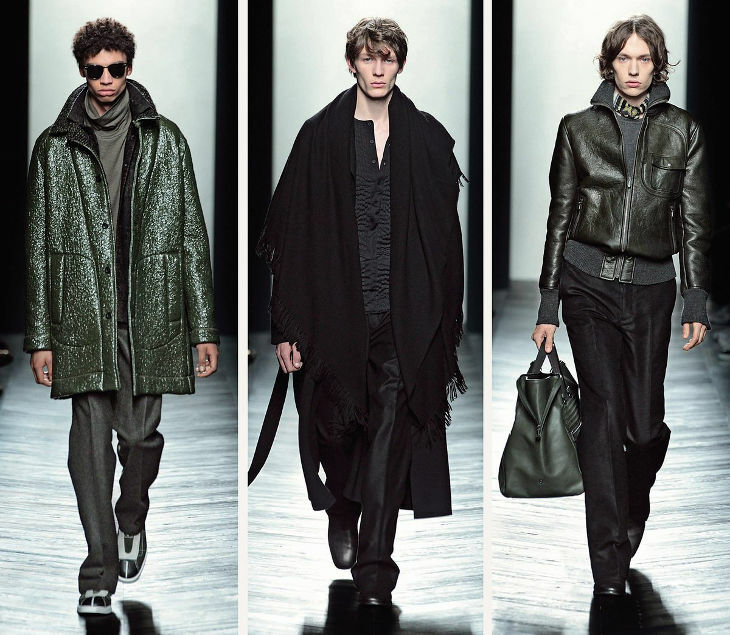 Mostly in darker shades, the collection included a lot of parka jackets along with leather jackets and high boots. 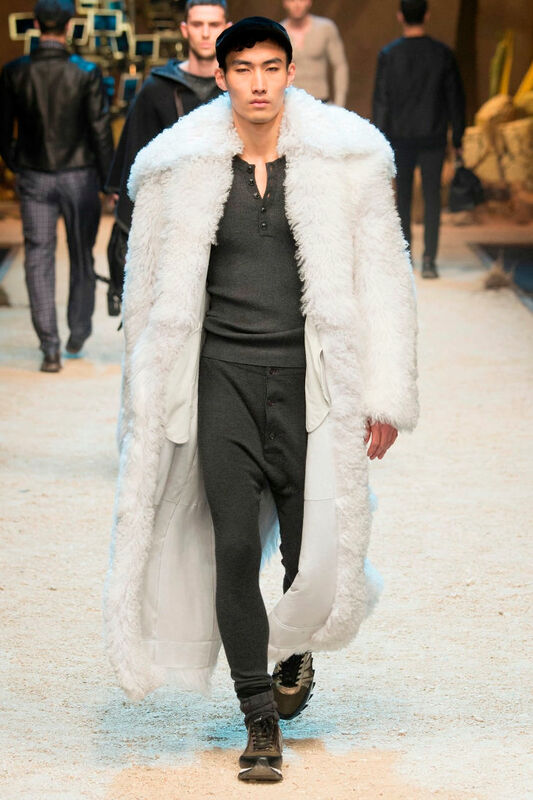 Skinny pants were seen on almost all the models, sometime accessorized with a wrap around for men. 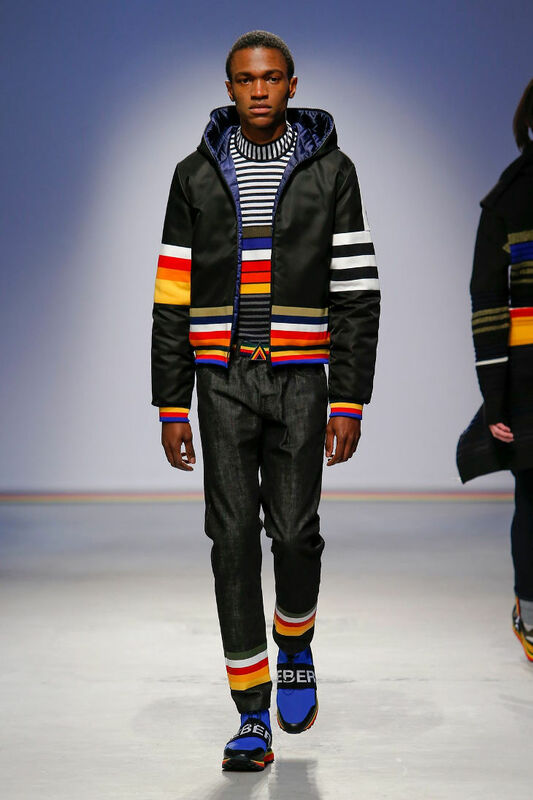 The collection was filled with rugged looks of men in Eskimo jackets, ponchos or highly decorated sweaters giving them a Christmassy feel. Even the suits had the same decoration work done to them. Denim jackets were brought back finally along with a pair of crisp denim trousers, with some models attempting to take a selfie during the walk. 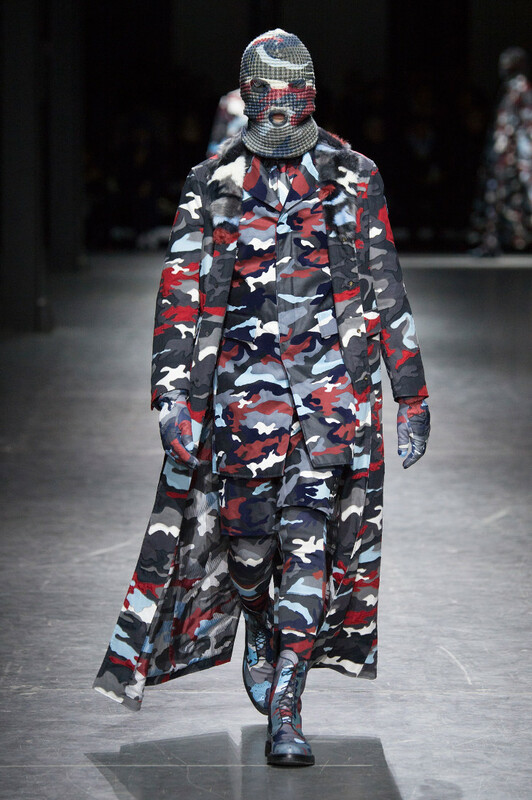 This brand went all military with camouflaging outfits. Every outfit was atleast three layered, along with a face covering cap with just eye slits and mouth hole. There were a lot of shorts used in the collection, but underneath them was again the same print leg hugging piece of outfit. 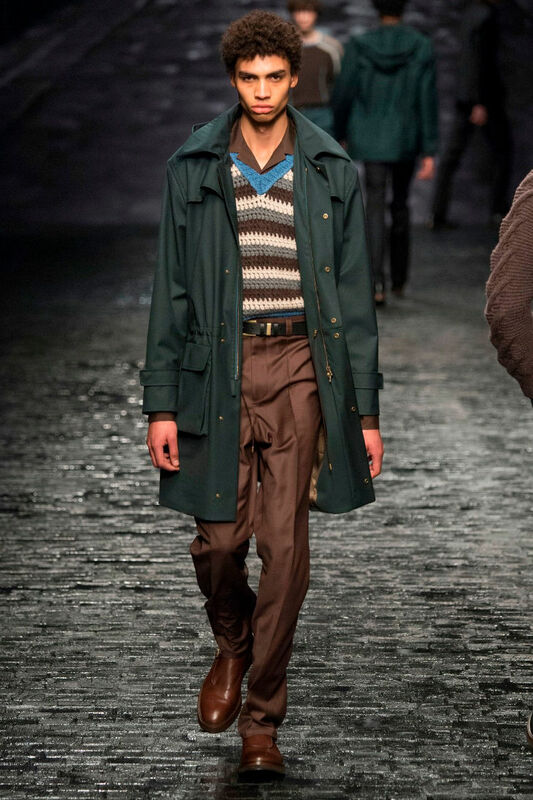 This collection was true to the modern men with a crisp trouser matched with an amazing sweater. Or a well fitted pair of denims with the leather jacket. 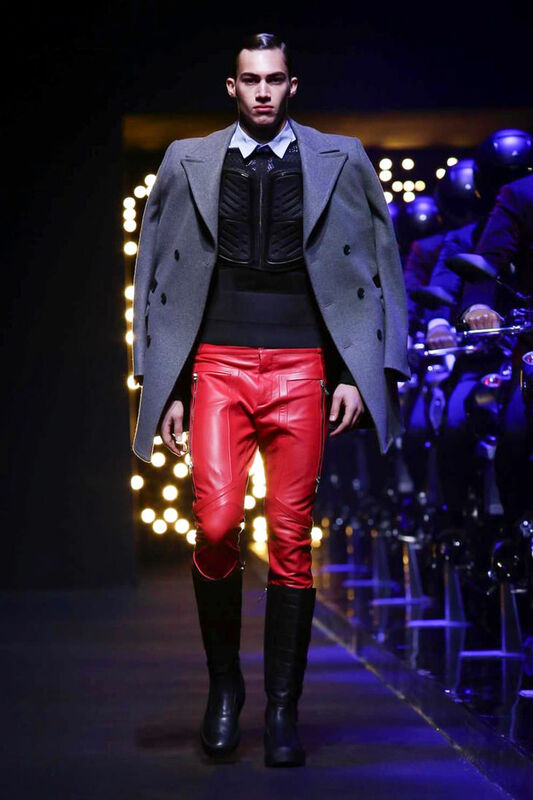 The collection was quite sparkly with modern bikers look along with the knee high boots for both men and women in brushed back hair. Use of sweaters and beanies were the highlight for this autumn centered collection. This showcase was kind of steering away from all the other collections and thus gave a refreshing feel with its casual looks. 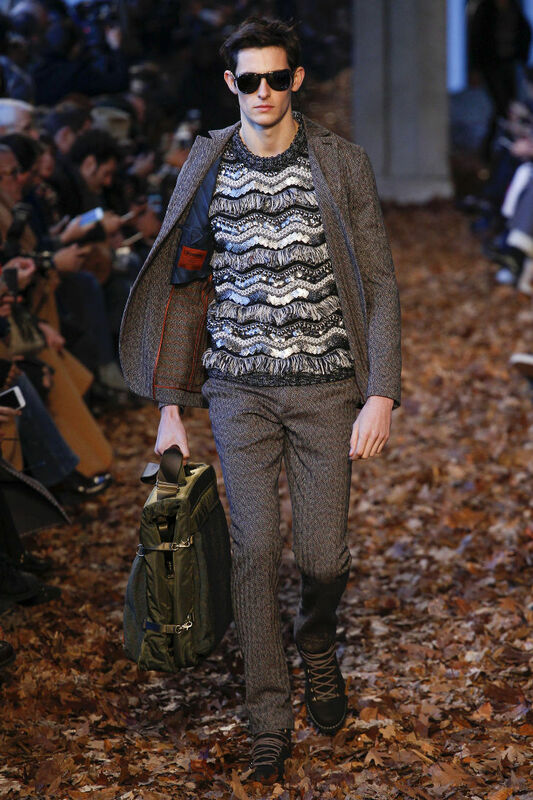 The colors of autumn were falling on this year’s Missoni outfits. 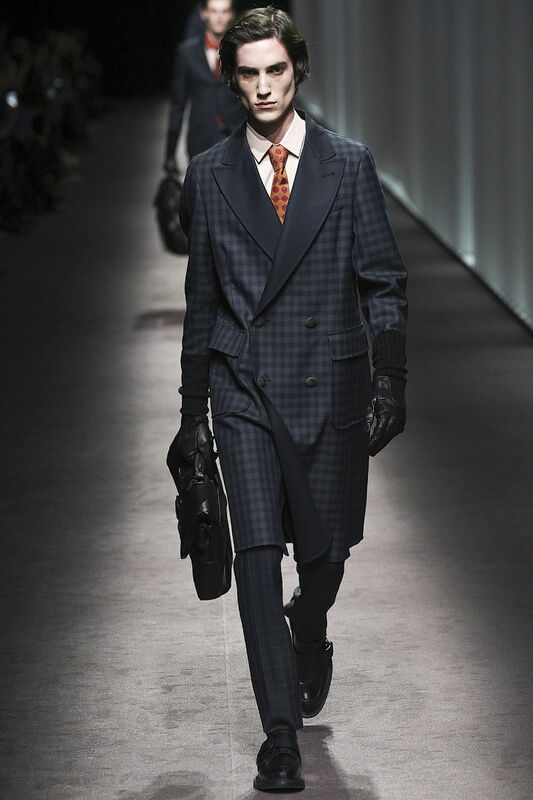 Canali had its official look collection showcased at the fashion week with overcoat jackets on a well fitted office suit on men with well kept hair and reading glasses. To make it look more formal, most of the models were carrying a rectangle office bag, and the leather gloves to hold them in. The highlight of this collection was the amazing sweater presented by the models under a long coat. 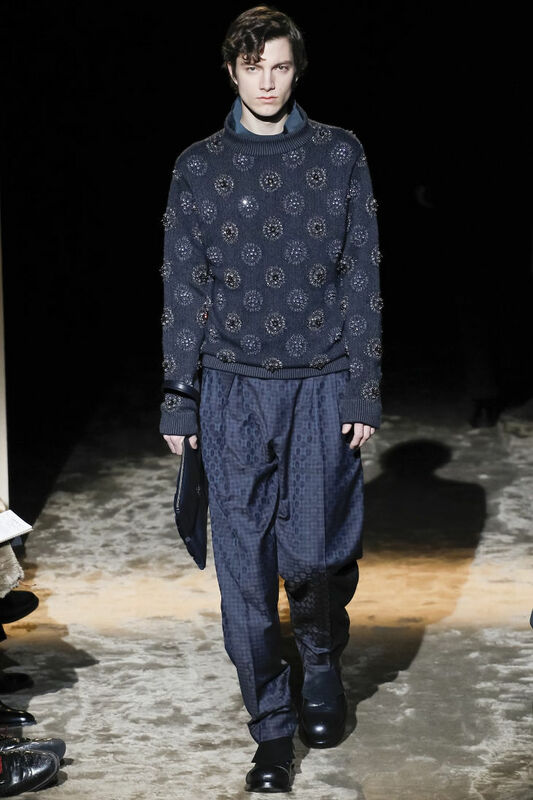 The sweaters were added with either block prints, or a floral design. The use of checks on jackets and pants went well. Otherwise there was the long belt hanging from one side of the body. 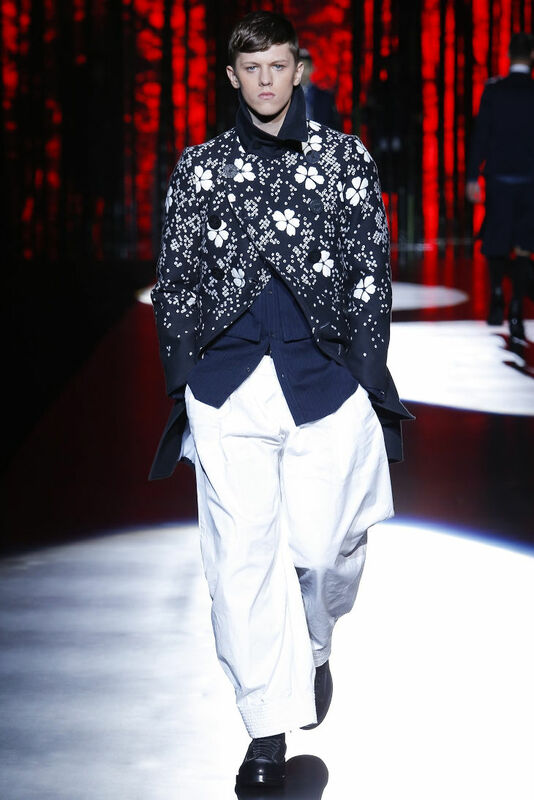 Jaden Smith would go crazy looking at the number of models in male skirts. Well, that seems to be the trend for now. And why not. They look brilliant and comfortable. Printed pants and tops could have been used more, but for the otherwise black and white outfits, often accented with brown looked brilliant. Somehow batman took over, and everyone loved it. Otherwise the leather work on jackets did amazingly well. And the use of hats added brilliantly to the winter autumn look that the brand was going for. Man skirts were again seen as the trend of the season. 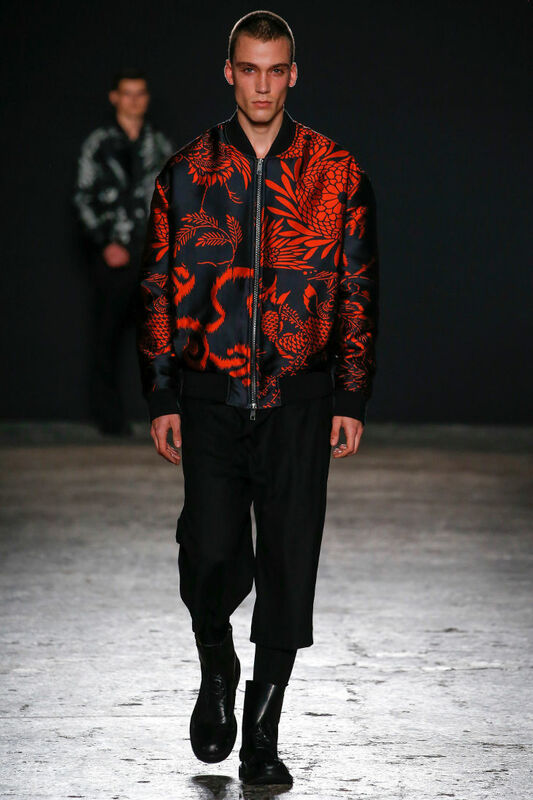 This collection used some floral prints on the short jackets. Though pants were well fitted, the denim jeans were quite oversized for the proper bulky look. Everything was in checks. The top, the jacket, the trousers and even the bag. And Fendi very well mixed and matched these to give us their version of the FW collection. 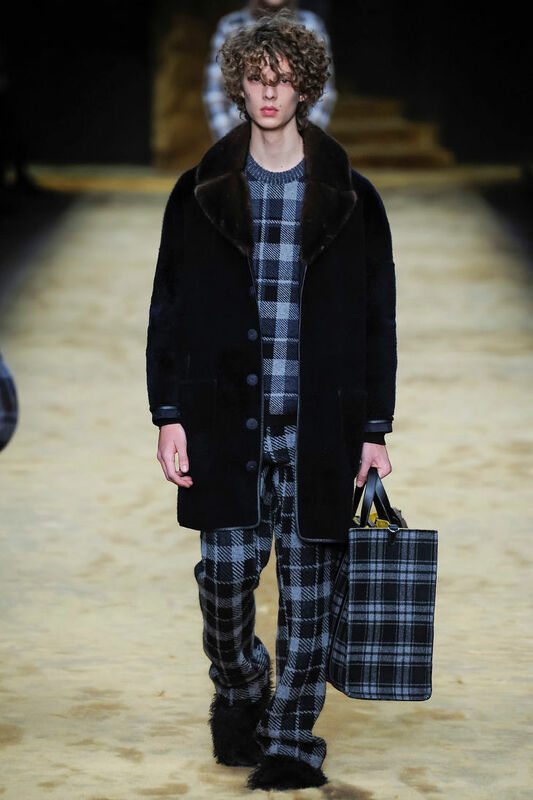 Highnecks were seen along with long checkered coats on models with baggy trousers. This collection saw men in crisp trousers, a well fitted shirt, either matched with a jacket, or a long coat, or the other extreme of short sweaters. Celebrating Iconic Moments: Kate Middleton Turns 35!